Roy Hodgson has told Jamie Vardy he should not expect to walk into the England team for the friendlies against Spain and France. 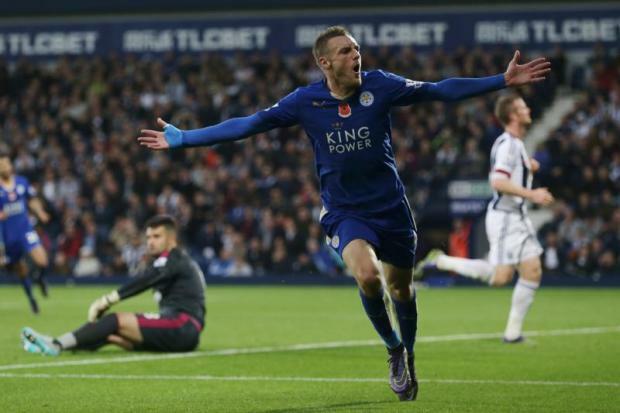 Vardy's fairytale rise from non-league journeyman to top-flight star shows no sign of ending any time soon. The Leicester forward, who was playing non-league football just three years ago, has started the season in fine form and is the most prolific marksman in the Premier League this season. The 28-year-old tops the league scoring charts, with 11 goals in as many matches. If he scores in his next two matches he will become the only striker other than Ruud van Nistelrooy to score in 10 successive Premier League games. With Vardy in such fantastic form, it came as no surprise that Hodgson named the striker in his squad for this month's marquee friendlies when it was announced on Thursday. Yet Hodgson made it clear after naming his 23-man party that there are no guarantees Vardy will start either in Alicante next Friday or versus the French in London four days later. Hodgson seemed to talk down Vardy's prospects and then explained: "I am just trying, as I sometimes try to do - always unsuccessfully - to defuse hype and make one very important point - that an England shirt is a valuable commodity. "When you have only [started] two games you are in no position to go to the coach and say 'I will play for England but only in this position'. That is the point I am trying to make." On the face of it, it was a bizarre comment given there has been no suggestion Vardy has told Hodgson he will not consider playing anywhere other than as a centre-forward. Indeed Hodgson praised the former Halifax and Fleetwood forward for beating the likes of Sergio Aguero, Wayne Rooney and Diego Costa to the top of the scoring charts. "I have been pleasantly surprised with him," said Hodgson, who has handed Vardy all four of his England caps. "When we selected him, I don't think there were a lot of people in the room saying, 'Fantastic - that is a great idea as Jamie Vardy is the obvious man'. And now you are. That is all credit to him."